This looks amazing! 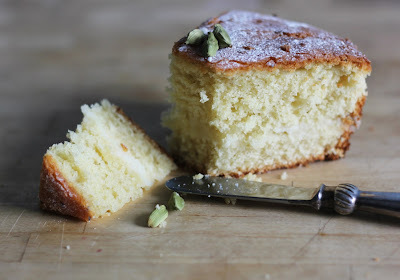 I like the idea of combining cardamom and coconut in a cake instead of a curry. I've done a lot of cardamom-spiced cakes over the years, and a lot of coconut cakes, but never the twain have met until now... I wonder if this is too good for a PTA coffee morning? Well if you make it and decide it's too good you could always hoard it for yourself...!